One cause for the recent economic crisis America faced was the inflated home values by the appraisal business, and it is again in hot water. Due to pressure by a reduction in fees, many appraisal businesses are being forced to evaluate homes much farther away from their areas of expertise. Appraisers that are very familiar with certain areas are having to travel longer distances and work in foreign territory. This may not seem like a problem at first, but it has some potential pitfalls. Fully understanding the value of homes in a particular market is not something that an appraiser can pick up in a matter of minutes. It comes from the experience of working with a large number of people and homes in an area for long periods of time. The Wall Street Journal published an article recently in which a man had an appraisal company come to his home from over 40 miles away. They valued the home nearly $75,000 less than an appraiser from the area valued the home a week later. This forced the homeowner to delay refinancing for 6 months until the situation could be resolved. 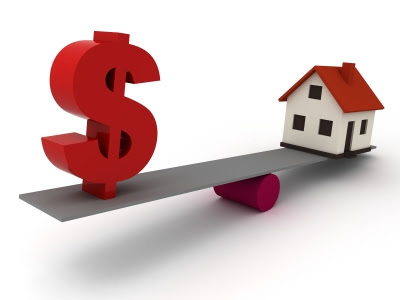 Proper valuation of homes is important because it keeps home owners from paying too much and protects lenders from inflating the value of collateral. Many firms are terrified of foreclosures and not being able to get their money from buyers, and the result is a low-ball effect that is dragging down the housing market.